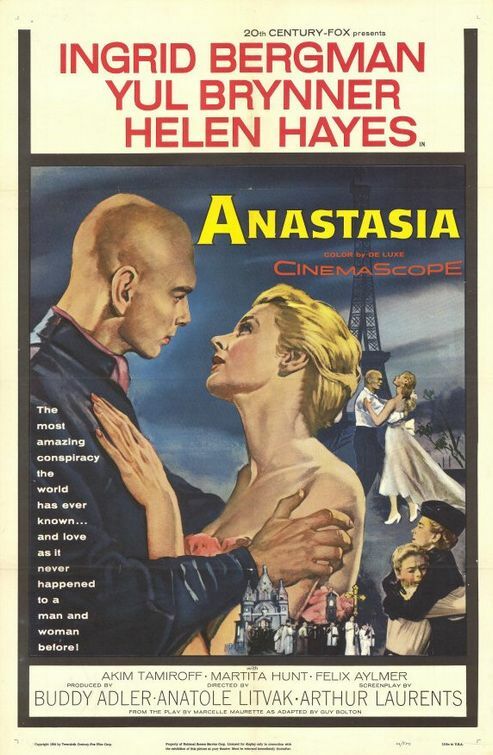 Synopsis: An opportunistic Russian businessman tries to pass a mysterious impostor as the Grand Duchess Anastasia. But she is so convincing in her performance that even the biggest skeptics believe her. Did You Know? This film marked Ingrid Bergman’s comeback, as she had been effectively blacklisted in 1949 for having a child out of wedlock with director Roberto Rossellini. Quotables: MARIA: Please, if it should not be you, don’t ever tell me. I didn’t really care for the way the film ended. It was a bittersweet ending with no resolution. The film in its entirety was kind of slow and laborious, but Ingrid Bergman and Helen Hayes really lit the screen ablaze with their brilliant performances. I really think the film should have received more than two Oscar nominations. It easily deserved a Best Costume nod and a Best Supporting Actress nod for Helen Hayes.